Planning to celebrate your New Year’s Eve with a bang? Of course, who wouldn’t in Sydney? This city is famous around the world for its New Year’s Eve celebrations. The fireworks on Sydney Harbour Bridge have always been the most talked about, the most televised and the most visited New Year’s Eve event in the world! So why not plan a New Years Eve dinner on the waterfront so that you can watch the fireworks and see the Harbour of Light Parade too! Or you can usher in the New Year with thumping music and dance away the Eve, into the wee hours of the coming year! And also get glimpses of the fireworks and the harbour views, whenever you take a breather that is! The best idea yet would be to board Sydney Showboats – the luxury paddle wheelers that are participants of the Parade! Be part of the Parade and one of the privileged spectators to get the closest view of the fireworks and the harbour events when the harbour is at its sparkling best! What’s more, you can enjoy a luxury dinner with wine and a live cabaret show or dance through the Eve into a brighter New Year! An exciting option is Magistic Cruises – the stylish catamarans that are Parade participants too. From their extensive decks you can see the spectacular fireworks and other harbour events real close – but only when you are not swinging, swaying, twisting and whirling to the pumping beats mixed by the DJ on board! 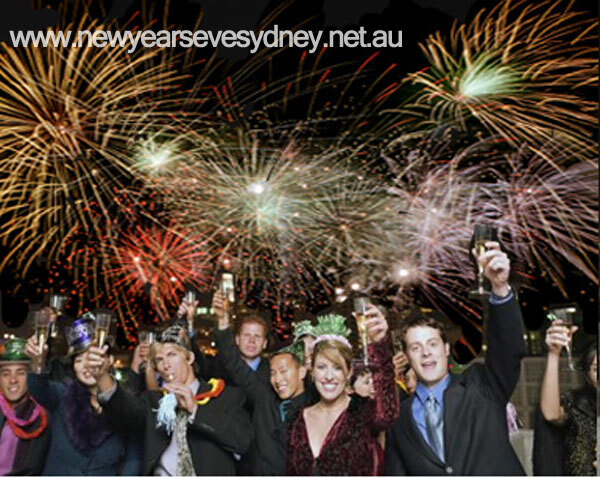 Sydney New Year’s Eve is the world’s most-watched New Year’s Eve show. It is also the most televised New Year’s Eve celebration in the world. The harbour looks the most beautiful on New Year’s Eve with all the lighting arrangements on the bridge and all around the harbour. The Harbour of Light Parade with its fleet of vessels decorated in ropelight design sends a message of its own! Being part of the Parade is the surest way of experiencing the excitement and joy of the Eve. As the day draws near, the world and the media across the world wait in breathless anticipation to watch the lighting, the fireworks and the ‘bridge effect’ that would usher in the New Year in Sydney. The synchronised fireworks and lighting of Sydney New Year’s Eve send out to the world more messages than one. Its past messages of peace, love, creation, etc have been watched, discussed, televised, written about and sighed over by the entire world every year! While the ‘bridge effect’ and lighting presents a novel and positive message every year, the 15 months of thoughtful planning, rigorous effort and coordinated work proclaim and celebrate the industry and attitude of the people of the smallest and the youngest continent on earth! Last but not at all the least, the GreenPower that powers the event and the green fireworks, spread a clear and prompt message of safety and health to one and all!